The World Cup has made a habit in recent times of creating problems for the reigning champions. In 2002, France were eliminated in the group stage, just four years after winning the most prestigious title sports. In 2010, Italy had an abysmal performance in South Africa, looking a shadow of the team from 2006. And in 2014, defending champions Spain were poor. This time around in Russia, the winners from 2014, Germany, continued this trend. In a group containing Mexico, Sweden, and South Korea, Germany were huge favorites to top the pile — or at the very least, finish second. On Matchday One, they took on El Tri in what was thought of as being the decider of who would finish in first place. Mexico were dominant, and took all three points in the tie. Next up for Die Mannschaft was Sweden, who bested South Korea in their opener. Germany looked much better than they did against Mexico, but still conceded first, and needed a come-from-behind win, with Toni Kroos scoring the winner with the last kick of the game. With Mexico also beating South Korea, Germany knew they needed a win in their final game to keep fate in their hands. With Sweden trouncing Mexico in the other Matchday Three tie, a simple 1-0 win against a team who were yet to score a point, and yet to score a goal in Russia, would suffice, and allow Germany to advance at the expense of Mexico. In the end, South Korea would win the game 2-0. Germany finished in last place in the group, behind the Koreans, with only three points and two goals to their name. Without taking anything away from the teams that Germany faced — who all played with passion and tenacity all tournament long — Germany’s experience and quality should have been enough to advance from this group. Sweden are a very one dimensional team, South Korea, with the exception of Spurs winger Heung-Min Son, have very little flair offensively, and Mexico are honestly not as good, as a team, as they think they are. So what went wrong? It is incredibly difficult to chalk up the Germans’ demise to the World Cup voodoo that has occurred in recent time. Upon closer examination, there appear to be a whole range of problems that could have lead to the debacle that occurred in Russia. One of these mistakes was made before the tournament even begun: squad selection. Coach Joachim Loew elected to not take Leroy Sane from Manchester City. Sane had a fantastic season for the Premier League champions, scoring 14 goals, and assisting even more. Sane won the PFA Young Player of the Year title, and would have brought some much needed confidence to Loew’s side. Sane’s omission came at a shock to many, but others noted that his playing style is very anti German. Sane is a quick, dribble oriented player, who likes to isolate a defender and take him on one-on-one, in an attempt to create space for a cross or shot. Loew seldom incorporates players like this into his squad, so really it should not come as any shock for Sane to not make the cut, for Loew and Germany will almost never change the way they play. Other omissions from Loew’s 23 man squad included Sane-esque winger Karim Bellarabi, 2014 hero Mario Gotze, and Andre Schurrle, a utility player with a serious eye for goal. This is not to say that the inclusion of any of these four men would have allowed Germany to advance. However, Loew’s side would have had more depth offensively, as well as significantly more experience at the World Cup level, with these players in the squad. Something else of note that occurred early on would be Germany’s shaky run of friendly games in the run up to the tournament. Both Germany and France clocked numerous wins in their warm up games, however none of these featured convincing performances. Germany beat Saudi Arabia 2-1 in their final game, and frankly deserved to lose. Unlike their French counterparts, who experienced a shock 1-1 draw with a youthful USA team, Germany didn’t change anything. They kept playing the way they had been, and hoped it would be enough. It wasn’t. Loew was one of a handful of coaches who had a horrendous tournament. The German’s downfall stemmed from poor player selections and substitution decisions. Striker Timo Werner was a real let down, perhaps the biggest let down of any player in attendance. Werner was nowhere near the man we have come to enjoy watching at RB Leipzig, and he looked a completely different player to the one who lit up the Confederations Cup just a year ago. He looked timid, and all around ineffective in each match. Loew seemingly either failed to recognize this, or thought that he might improve his form as time went on. Any good coach would see a player, like Werner, who looked so uncomfortable, and take him out for his own good rather than letting the fans boo him all match, particularly when you have Mario Gomez on the bench. 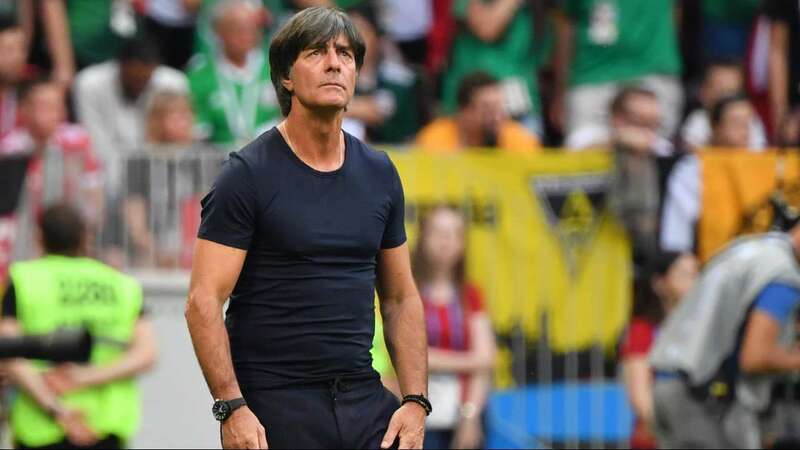 When Loew finally brought Gomez on against Mexico, he was immediately effective, creating problems for the defenders with his power and strength. Logically, Gomez should have started the next game, especially when knowing that the Swedish center backs are the sort who like to push a forward around. He didn’t. Werner again got the call, and again looked poor. This time, Gomez was called upon much earlier, as was Bayer Leverkusen winger Julian Brandt. Brandt plays very similarly to Sane, and will likely be one of Germany’s main men going forward for years to come. The teenager has a fantastic work ethic, and even better strike of the ball, reminiscent of Thomas Muller in his prime. These changes are largely what allowed Germany to beat Sweden and avoid an embarrassing defeat. Gomez and Brandt were phenomenal when on the field, with the latter, in my opinion, Germany’s best player at the tournament; something that is a little embarrassing given that he played for less than 20 minutes in the entire competition. Many other players who we have come to know as household names, that play to an incredibly high level, were also poor in Russia. Julian Draxler, Joshua Kimmich, and even Kroos, who received far too much praise for his goal after a horrendous showing against Sweden, all played far below the levels that they hit for their respective club teams. Knowing you needed a result in Game Three, one ought to play the players that are in form, even if that meant changing up strategies. Brandt would be a straight swap for Draxler, as would Gomez for Werner, and Leon Goretzka or Ilkay Gundogan for Kroos. Again, Loew elected to go with Werner and the other misfiring players, and this decision naturally condemned Germany to last place. So what’s next for Die Mannschaft? First off, they need a new coach. After his poor performance before, and at, the World Cup, as well as his lack of grit to recognize the need for change, Loew should not keep his job. Period. I doubt this firing will occur however, as Loew fits the German’s agenda. If he stays, the 58 year old will need to learn from the mistakes he made in Russia. Firstly, Loew will need to change up his squad, even if he keeps the same strategy. Germany doesn’t really have any dead weight so to speak, but there are some players who believe that they are untouchable in the starting XI. One such player is Mats Hummels. He and Jerome Boateng are rocks at the back for Bayern Munich, and normally are for Germany too, but the pair looked very shaky during the World Cup. With Hummels picking up a knock against Mexico, and Boateng seeing red against Sweden, Niklas Sule had the opportunity to deputize, getting much needed playing time under his belt. Sule is also the pair’s understudy at Bayern, and there are no better mentors than Hummels and Boateng. Loew ought to give Sule, and another up and coming center back such as Jonathan Tah, a chance to play in a string of games to get their confidence up and build a partnership. If he doesn’t give them time in games that don’t matter too much, there is no way they will play with confidence when called upon in times of need; something that was evident in certain glimpses of Sule’s games in Russia. Another change that should be implemented is a new strategy for the team. As we have seen in recent time, possession and passing the ball around the field is really a dying art, and is becoming less and less necessary to win games. This was made further clear in the World Cup this year. Of the eight teams that advanced to the quarter finals, five won their Round of 16 game with less possession than their opponent, and of the others, two matches ended in a penalty shoot out. This is evidence that the game is changing. Germany have the personnel needed to be a pacy, counter attacking team. They have one of the best goalkeeping rosters in the world, quality defenders and defensive midfielders to play strong soccer at the back, and of course the stars needed to score goals. This strategy, or another that Loew could come up with, would likely have served them better in Russia, and will definitely help them progress in the future. It is now up to him, and the German Soccer Association, to figure out how to reset. They inevitably will become a powerhouse again, but there are some much needed changes that need to occur to make this happen sooner rather than later, and if this means getting rid of Loew, so be it. This article was originally published here on Nick’s blog. USMNT: Should Juan Carlos Osorio be the Next Coach?